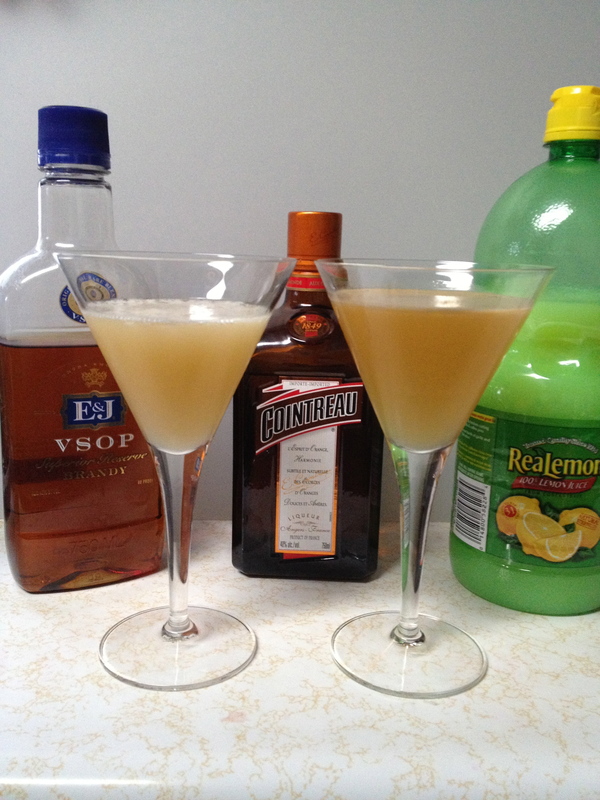 There are a variety of orange liqueurs available, and delicious cocktails that use orange liqueur, such as the Sidecar. 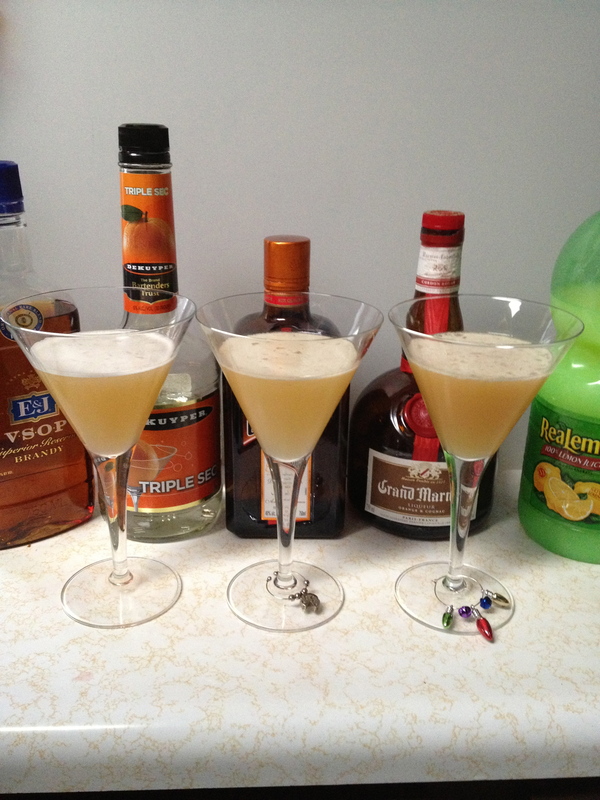 How do different orange liqueurs affect a classic mixed drink such as the Sidecar? Since the sidecar recipe we were using from Vintage Spirits and Forgotten Cocktails specifically calls for Cointreau, we expect Cointreau to provide the best flavor for this drink. From left to right: Triple Sec, Cointreau, Grand Marnier. Triple Sec — The tasters described this cocktail to be simple, sweet, light and subtle. Taste-tester A described it as a good beginner’s real cocktail. Cointreau — The tasters described this variant to be bright and crisp with more complex bitter orange/citrus flavors. Taste-tester P (aka The Brownie Master) felt the cointreau overshadowed the other flavors. Grand Marnier — This drink was darker in color and while overall good, had flavors that were more reminiscent of a Margarita (but that’s a different post). The overall mouth feel of this drink was considerably creamier than the other two. While tasting the three main drinks, one taster noticed that the Cointreau bottle had a different recipe for a sidecar which uses twice as much brandy. Being the good patience scientists that we are, with brownies to wait for, we tried this variant as well. Cointreau Mark II — The first thing to note about this version is that unlike the other three, there was no foam after shaking. We suspect this is due to the higher alcohol content’s effect on surface tension. The taste testers describe this version as having a much deeper flavor with more body. Taste-tester P described it as being like the Grand Marnier, but without the weird creaminess. This variant is my personal favorite. As expected the Cointreau based sidecars were in fact the preferred variant. Interestingly, the recipe on the Cointreau bottle was preferred to the one from a classic cocktails book. In this study we examined the variation due to the orange liqueur. The other ingredients have not been thoroughly examine yet. What would happen if we used different brands/qualities of brandy or even cognac. What would happen if we used different lemon juices such as freshly squeezed regular lemons, meyer lemons, or Nelly and Joe’s Key West Lemon Juice.